RELATED: Coverage of the recent Cage Prisoners event in the UK w/ Robert King: Video and Writeup II Wanda's Picks Radio Show interviews Robert King: Listen here. 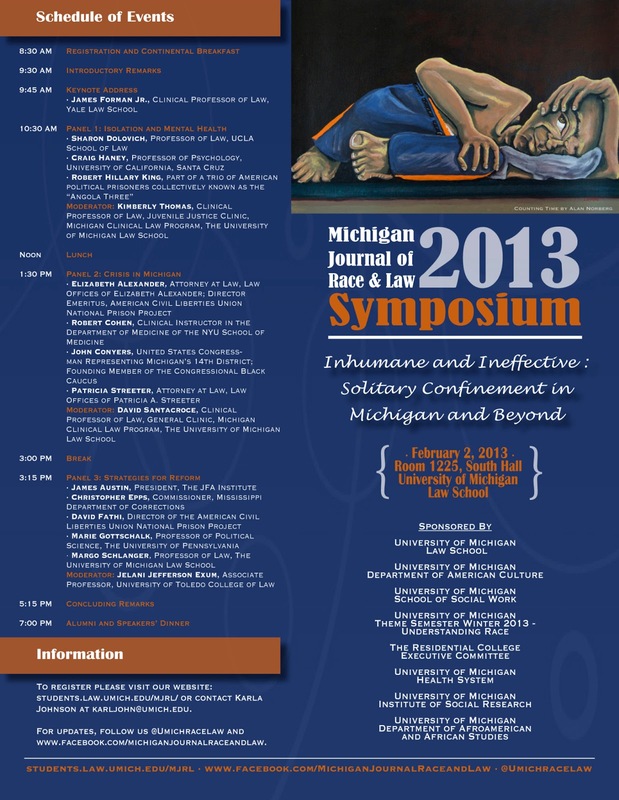 On February 2, 2013, the Michigan Journal of Race and Law hosted a symposium at the University of Michigan in Ann Arbor, MI, entitled "Inhumane and Ineffective: Solitary Confinement in Michigan and Beyond." 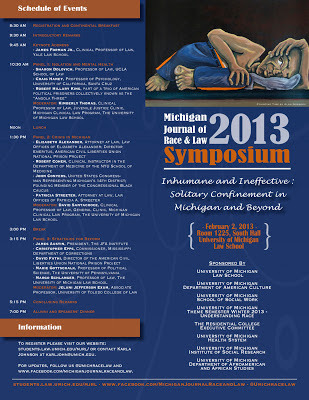 As described by the flyer posted below and the Journal's website, the all-day event featured a keynote address given by James Forman, Jr.
Nov. 9: King spoke in Chicago at a conference focusing on solitary confinement and human rights, organized by the Midwest Coalition for Human Rights (read their report of the event here). 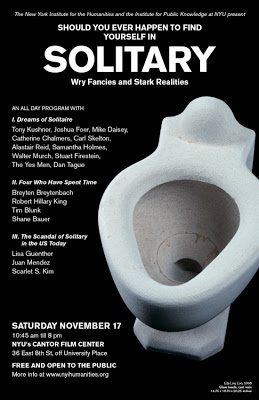 Nov. 17: King spoke in New York City as part of an all-day event at New York University, entitled "Should You Ever Happen to Find Yourself in SOLITARY: Wry Fancies & Stark Realties," that was covered by the NY Times.